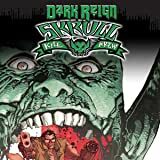 Collects Dark Reign: Skrull Kill Krew #1-5. THE INVASION AIN'T DONE UNTIL THE FAT SKRULL SINGS! 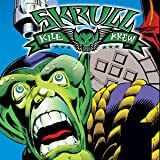 Pulled from the ashes of 1994 straight to the 21st century, the Skrull Kill Krew is back and more brutal than ever! Television writer and novelist Adam Felber (HBO's REAL TIME; Schrodinger's Cat) and superstar artist Paulo Siqueira (Ms.Marvel; Amazing Spider-Man) bring you a disturbing and violent tale of a man with a couple of big guns and a bunch of alien shape shifters who harken back to the earliest days of the Marvel Universe. Pull up a chain gun and join us, won't you? The invasion ain’t done until the fat Skrull sings! Pulled from the ashes of 1994, straight to the 21st century, the Skrull Kill Krew is back, and more brutal than ever! 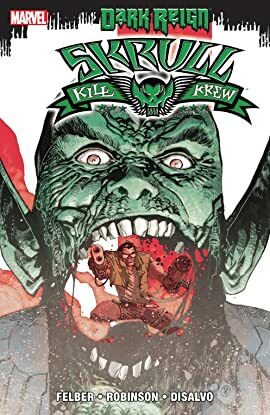 Kill Krew member Ryder makes the best of a bad situation, as he recruits others who have been infected with the body-morphing Skrull virus. But with a shortened life expectancy, will these new Kill Krew members be able to stamp out the Skrulls before they infiltrate society? 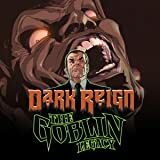 When Norman Osborn takes over, what happens to the villains who don't make his short list of acceptable allies? Grim Reaper, Mr. Hyde, Absorbing Man, Nekra, and Man-Ape are about to find out when their cooperative of crime lands on the wrong side of Norman's law - but they're not going down without a fight. Norman Osborn may be running the show, but not every super-villain is going to accept the new world order. 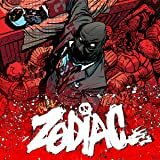 But who -- or what -- is ZODIAC? 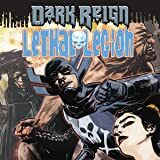 In this dark, brooding tale that snakes through the underbelly of the modern Marvel Universe, the new breed of super-villain has finally arrived! The order of the day is "mischief for mischief's sake," and no one -- neither hero *nor* villain -- is safe!